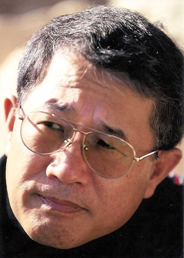 Nobuhiko (“Nobi”) Ochiai is a Japanese author and journalist. He’s written over 140 books in hardcover and 120 in paperback, both fiction and non-fiction. Published by major Japanese firms such as Shogakukan, Shueisha, Kobunsha, Bungeishunju, and Kadokawa Haruki Publishing, they have sold more than 120 million copies. Educated in Japan and at Albright College in the US, Nobi initially worked in oil exploration. 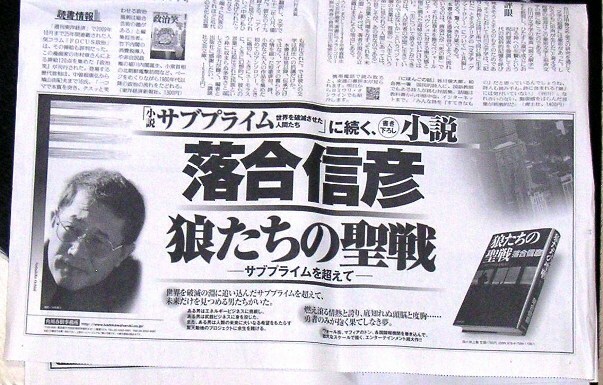 In 1973, he returned to Japan and started a career in journalism and writing. His first book came out in 1977. His Japanese website is at NobiOchiai.com (click here). A Japanese wikipedia entry on Nobuhiko Ochiai is here. Hoping you and Hiromi are OK after the terrible earthquake. I know Tokyo was not the center, but that there was some effect there too. If you get this, my email is warusso@verizon.net, let me know how you are. How are you? Remember me the photographer from Israel . If you have any business opportunity for me I am open to all. My name is Chris Thom. I am a friend of Drew Mann (your friend George Mann’s son). I am trying to contact you because I want to help Drew (I think you know his situation). He’s going to die if he doesn’t change what’s going on and I know he won’t do it on his own. He mentioned that you had offered to help him in the past and I wanted to find out if that help is still available. Hopefully you will see this or the webmaster will pass it on. Hi Kenton, I’ve passed your message to Nobi. Hello, I am trying to reach Nobi who was a good friend while in Reading, PA. Recently, I discovered a number of letters he had written when I left Reading and would like so much to get in touch. I was associated with his good friend, Pete Arrowsmith. As a good friend, Nobi always remained special in my heart, and I’m so happy for his great success. Please pass on my email address to him. Hi, I was emailing Nobi a few years ago but lost the address. He was my Sensei in Japan in the summer of 1969. I have a few pictures I think he’d like that I recently came across. Can you help me to reconnect? Hi Leonard, I’ll pass on your message.